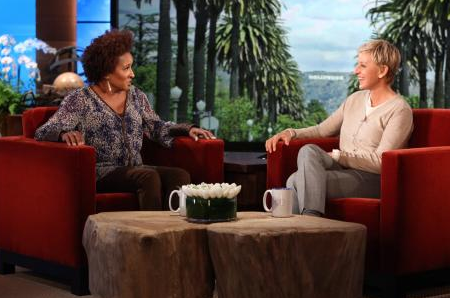 Wanda Sykes filmed a segment on The Ellen DeGeneres Show (airing on Monday) when she revealed something that wasn’t the normal humorous side we are used to. Sykes mom has a long history of cancer and so she didn’t want to take any chances. So, yeah. That was a lot heavier than what we are used to with Wanda. But of course she knows how to bring the humor back into it. I so appreciate her sharing her story. Hopefully that will encourage other women facing the same issues.